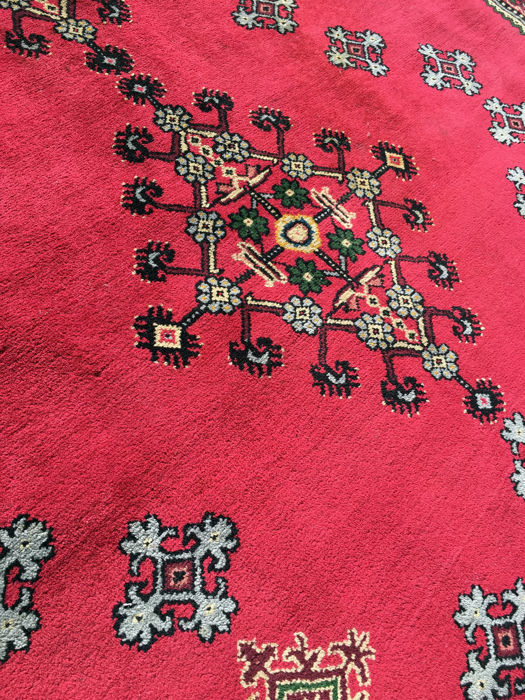 The beginnings of the Berber rug, its origin and the significance of its patterns, go back a very long way. 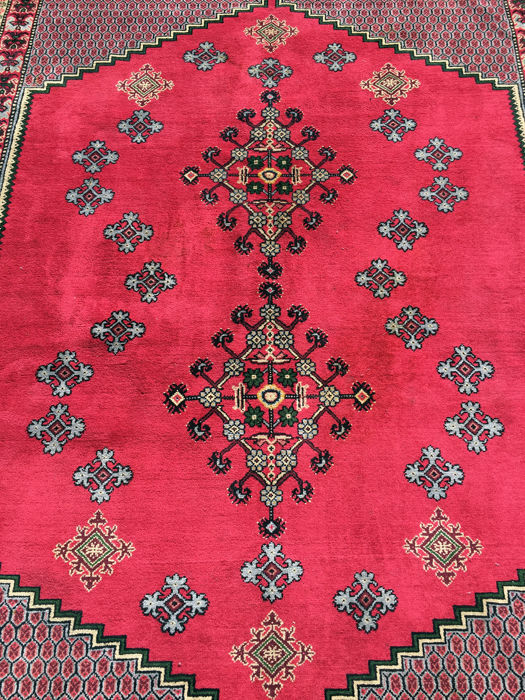 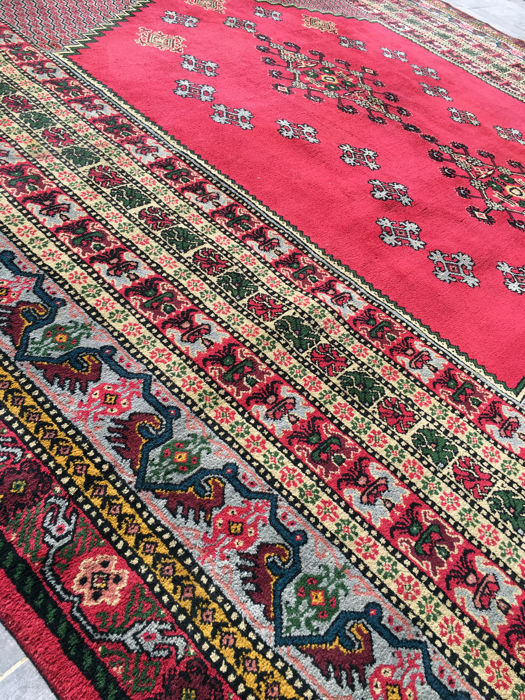 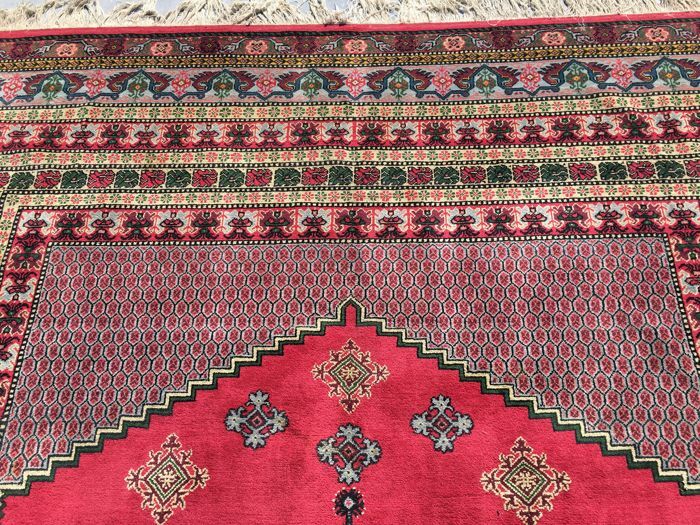 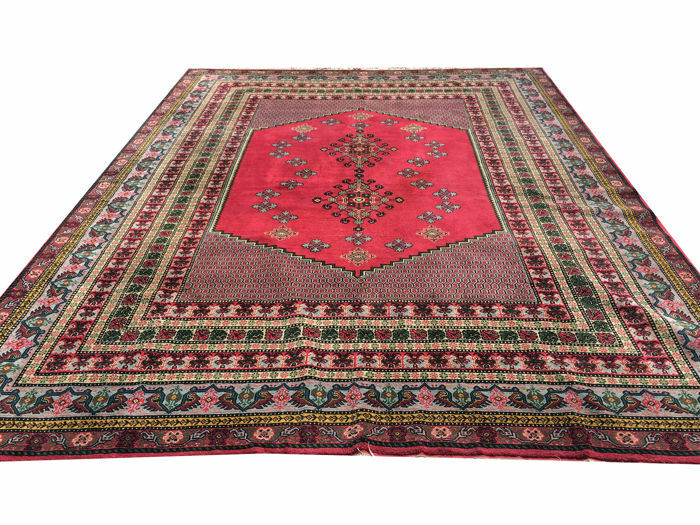 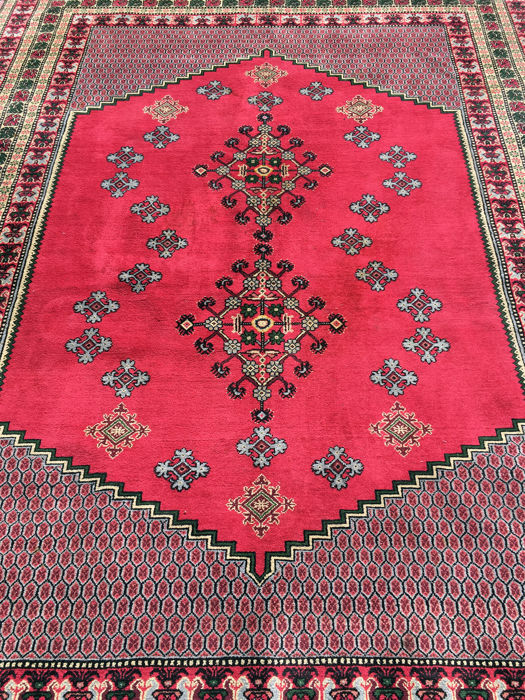 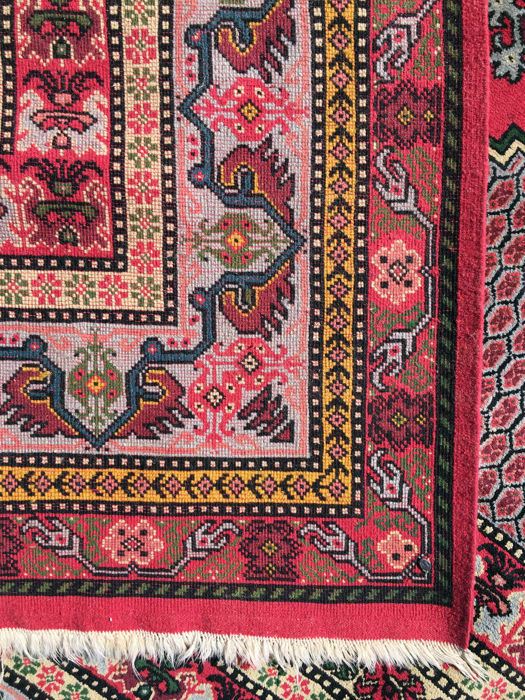 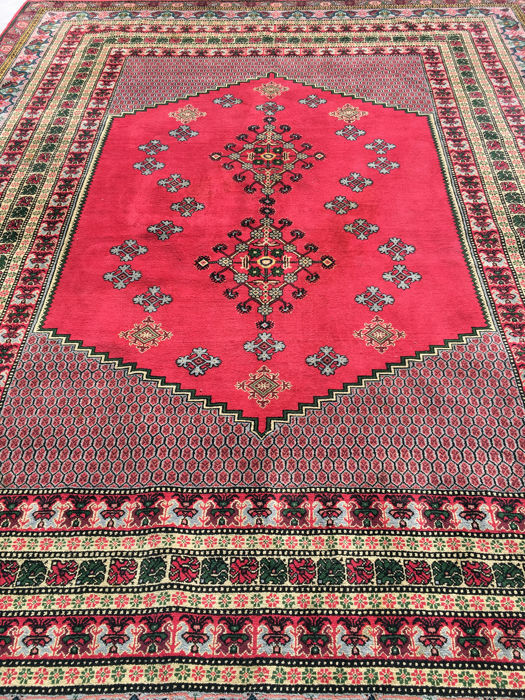 It does not descend from Oriental rugs of the Islamic period, although the similarity of the knotting technique and certain patterns indicate common roots that probably date back to the Asia Minor Neolithic period. 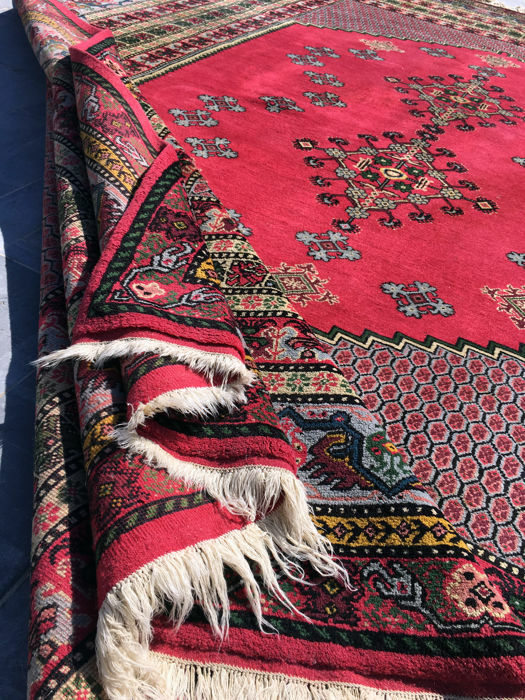 Far from from the great ancient civilisations and the cultural exchanges initiated by the Silk Route, the Berber rug retained its originality in the mountainous regions of the Atlas and the Atlantic plains. 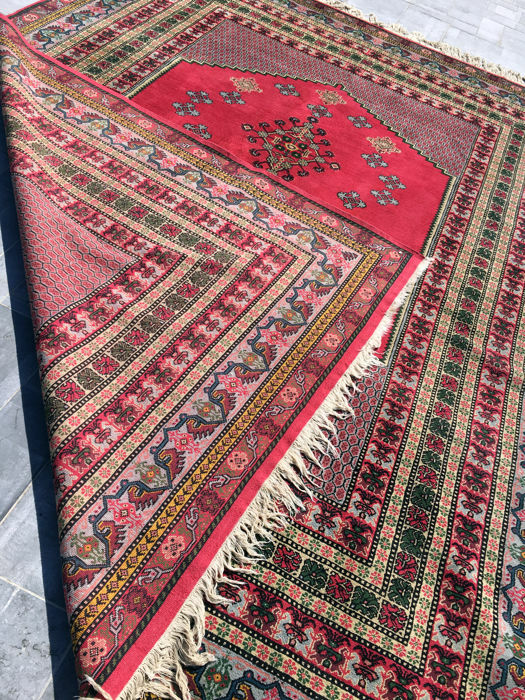 Size: 370 x 300 cm.